For a town of its size, railway operations at Grantham have been more than usually intensive and diverse. The compact layout was particularly attractive to observers of the railway scene. A remarkable number of people recorded or documented the railway at Grantham - its buildings, its trains and locomotives and, most importantly, the many facets of work on and around the railway. A few of those observers lived in or around the town, and some worked on the railway, in Grantham or elsewhere. However, most had no direct connection with the town or with the railway as their employer. We are fortunate to inherit a rich legacy in words, in pictures and in sound, the 20th century being especially well covered. Looking at the wealth of material that's been published it is evident that at Grantham there's generally been a tradition of welcoming the visitor who arrives to observe and document the railway - provided, of course, that they are courteous and are mindful of the duties of railway staff and the responsibilities they carry. You get a sense that visitors discovered among Grantham railway people a pride in the role their town has played in establishing and maintaining the tradition of the East Coast Main Line as a record-breaking high speed railway. This remains true today. Staff at Grantham station are approachable, and are usually willing, within the limits of their authority, to facilitate access by those who wish to safely observe railway operations from their platforms. 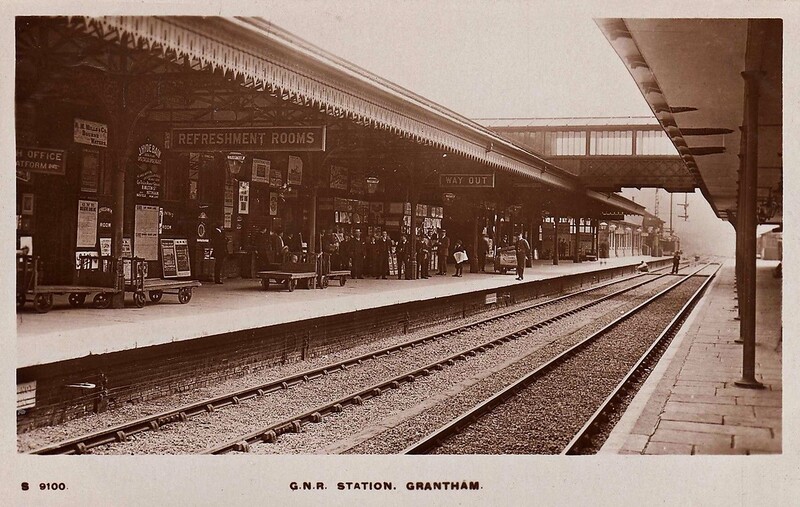 We continue to discover new sources, so if you know of someone who created a record of the railway at Grantham in words, in pictures, in film/video or in sound and who, so far, has escaped our notice please get in touch with a recommendation.